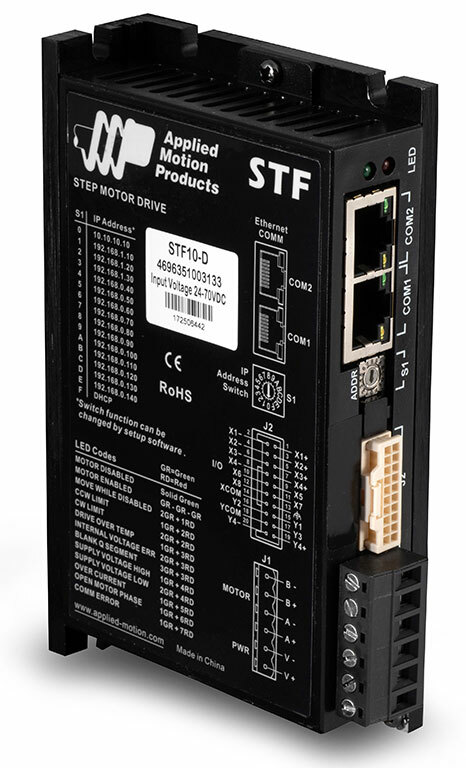 The STF10 stepper drive is a DC-powered microstepping drive for controlling two-phase, bipolar step motors. It offers advanced current control and an anti-resonance algorithm that electronically damps motor and system resonances to improve motor smoothness and usable torque over a wide speed range. The drive employs electronic torque ripple smoothing and microstep emulation to greatly reduce motor noise and vibration. The drive must be powered from 24 to 70 VDC and can output up to 10.0 A/phase (peak-of-sine) to the step motor. Over-voltage, over-temperature and over-current protection features prevent damage while running in adverse conditions. 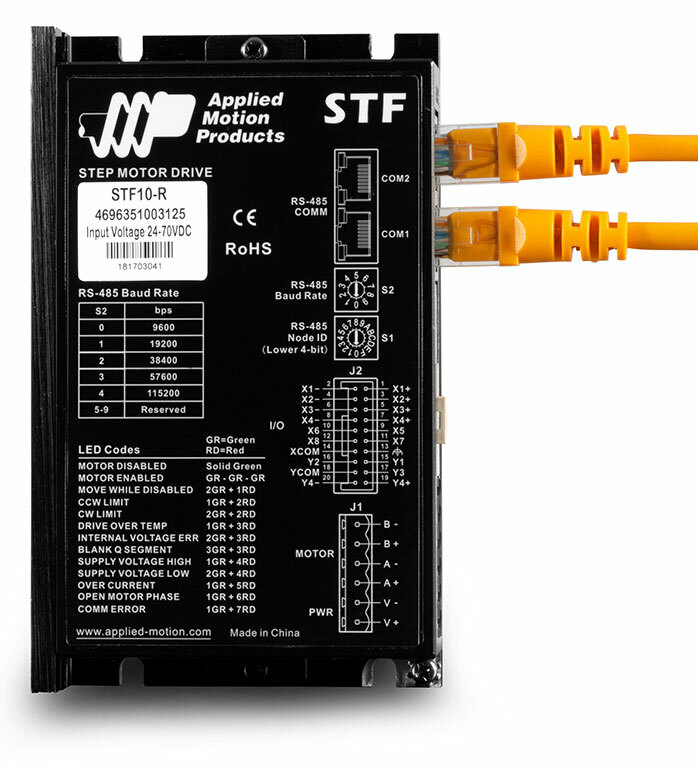 The STF10 offers the highest power range in the STF series, making it suitable for the largest step motors. It is complemented by a specifically matched set of stepper motors in frame sizes up to NEMA 34 (see Related and Recommended products below). 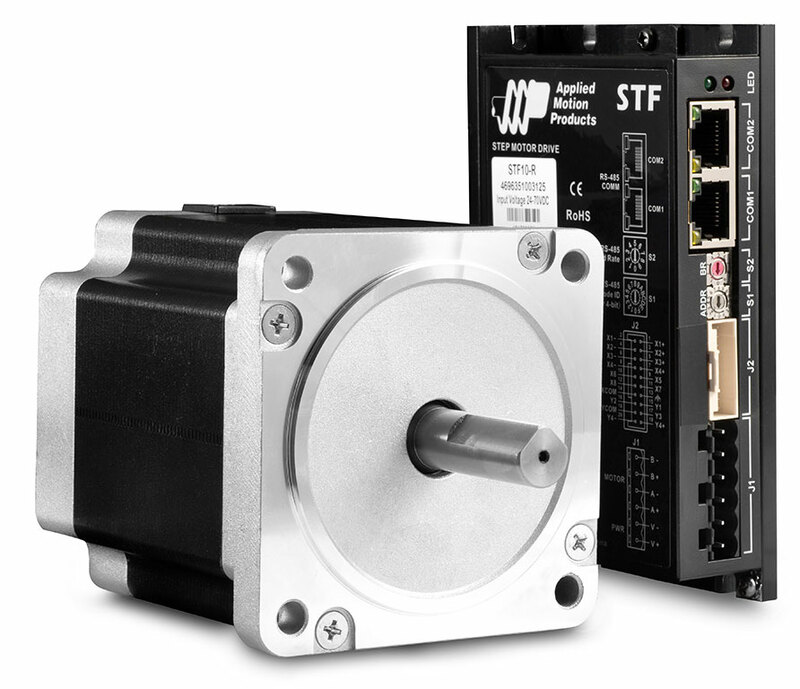 For lower-powered STF drives to run smaller motors see the STF03 and STF06.